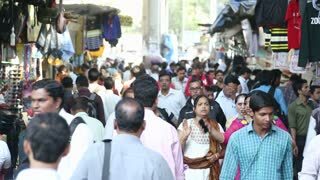 MUMBAI, INDIA - 17 JANUARY 2015: People walking down the street in Mumbai. 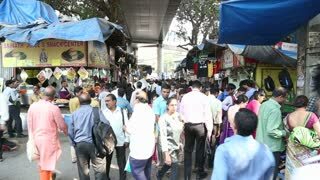 MUMBAI, INDIA - 8 JANUARY 2015: People walking through the busy market street of Mumbai. 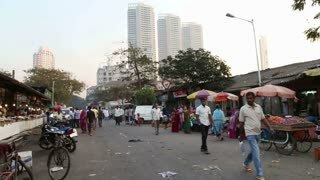 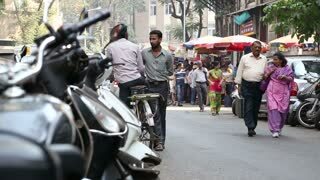 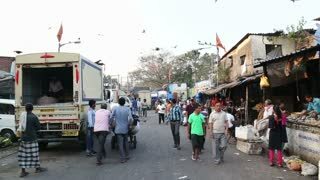 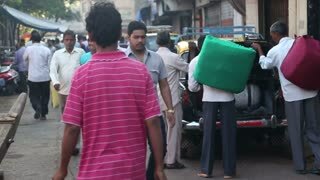 MUMBAI, INDIA - 7 JANUARY 2015: Man walking out from a shop to a busy street of Mumbai.